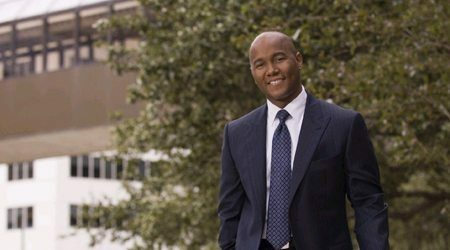 Adraon D. Greene joined the Houston office of Galloway Johnson as an Associate in December 2009 and was named a Director in 2012. He is a graduate of South Texas College of Law, where he participated in the advocacy program, in which he won National and Regional Titles in both Moot Court and Mock Trial. He completed his undergraduate studies at Southern University in Baton Rouge, Louisiana. Adraon believes that effective and efficient case management is achieved by maintaining a firm grasp of the facts and the law, early case evaluation, and proper preparation. Additionally, Adraon remains keenly focused on understanding the client’s concerns, expectations, and needs through effective client communication. Adraon believes in working closely with clients to develop reasonable expectations and achieve cost effective results. Adraon began his legal career defending premises liability, personal injury, insurance defense, toxic tort and general civil litigation matters, which allowed him to gain invaluable litigation and trial experience; including first and second chair trial experience in both state and federal courts. Adraon’s practice evolved to include oil & gas, product’s liability, commercial litigation and business disputes. Such a diverse background has afforded him the opportunity to represent several Fortune 500 companies, including oil & gas exploration companies, oilfield service providers, major automotive manufacturers, insurers and retailers, in various capacities. The experience gained in litigating death and catastrophic injury matters, complex multi-party litigation disputes, and toxic tort cases has taught Adraon that to achieve an efficient and economic resolution requires timely client reporting and adherence to a client-approved, cost-effective case handling strategy with an eye towards budgetary concerns. Adraon focuses on providing legal counsel that seeks to minimize litigation’s inherent risks and reduce potential exposure. The goal is to not only meet, but to exceed the client’s expectations. In addition to continuing to practice in the aforementioned areas, Adraon has expanded his practice to include Jones Act, admiralty and general maritime cases. Adraon’s employer’s liability practice includes a focus on Title VII with an emphasis on age, race, and sexual discrimination, including hostile work environment and quid pro quo harassment claims. Adraon also recently became a Certified Contract Adviser for the National Football League Players’ Association.